A-HOTEL.com - Luxury and cheap accommodation in Chokotovo, Russia. 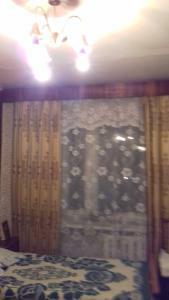 Prices and hotel, apartment booking in Chokotovo and surrounding. Country House Saragozha features barbecue facilities, garden and terrace in Motyli. All rooms feature a kitchenette and a private bathroom. Situated in Udomlya, in a building dating from 2008, Hotel Zvanitsa offers a bar and guestrooms with free WiFi. Featuring a 24-hour front desk, this property also provides guests with a restaurant. Boasting accommodation with a balcony, Удомля Посуточно 2 is set in Udomlya. Free WiFi is available. Guest House Eco-Residency Troiza is set in Udomlya and has free bikes, barbecue facilities and a garden. Featuring room service, this property also provides guests with a children's playground. Featuring lake views, Baza otdykha Tikhaya gavan in Udomlya provides accommodation, a private beach area and barbecue facilities. Some units feature a balcony and/or patio. Located in Ivanovskoye, Apartment in Blue Lakes offers accommodation with a balcony and free WiFi. Housed in a building dating from 1987, the apartment is in an area where guests can engage in activities such as skiing, cycling and table tennis. 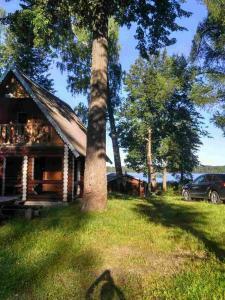 Featuring free WiFi, Holiday Town Lesnaya Dacha offers pet-friendly accommodation in Ivanovskoye. Free private parking is available on site. Set in Prokhorovo in the Tver region, Baza Otdyha Prohovskoe Podvorie provides accommodation with free WiFi. Some units also have a kitchenette equipped with a microwave. Set in Lyubyatino, Razdolie Liubiatino features a tennis court. With a terrace, the property also features a shared lounge. 2х комн квартира is offering accommodation in Maksatikha. The accommodation provides a 24-hour front desk. Situated in Zhelnikha, Baza Otdyha Valentinovka offers accommodation with free WiFi and TV, as well as barbecue facilities and a terrace. There is a fully equipped private bathroom with shower and free toiletries. База отдыха "Руднёвка" provides accommodation with a kitchenette, situated in Zhelnikha. The accommodation has a sauna. Offering a sauna and a private beach area, Eco Park is set in Pochvino. Guests can enjoy the on-site bar. Boasting a terrace and a restaurant, Hit Park Hotel is situated in Vyshniy Volochëk. Among the various facilities of this property are a shared lounge and a bar.